Inspect the front forks for oil leakage, scoring or scratches on the outer surface of the inner tubes. Replace any defective parts, if necessary. 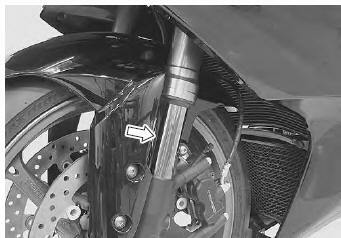 Refer to “front fork disassembly and assembly” in section 2b .